Alright. So what’s next? Let’s only focus on the accident benefit part of this claim and NOT the tort part. The tort part is a completely separate process and won’t get you immediate money. 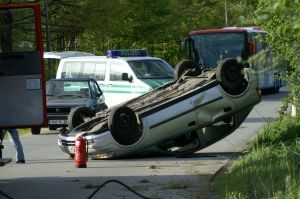 Accident benefits were designed by the government and insurance companies to get injured accident victims money in their time of need regardless of whose fault the accident was. This is why we pay for insurance right? Well, the lawyers of Goldfinger Injury Lawyers have likely already applied for your attendant care benefits (up to $36,000/year) and income replacement benefits (up to $400/week). But what happens if the insurance company REFUSES to pay for these benefits? Instinct tells you that our office would just sue the insurance company for these benefits. I like what your instinct is telling you, but unfortunately it’s wrong at law. The Insurance Act requires that before you sue, you need to apply for mediation at the FInancial Serices Commission of Ontario, or FSCO for short. FSCO’s offices are located just around the corner from the head office of Goldfinger Injury Lawyers at 5160 Yonge Street in Toronto. The thinking was that accident victims required benefits as soon as possible. The intent to serve the public is there, but the performance isn’t. FSCO was set up to handle accident benefit claims quickly. FSCO mediators are supposed to have special knowledge in the complicated field of accident benefits to deal with these matters. Instead of having an accident victim’s case bogged down for years and years in the Court system, a FSCO mediation was supposed to speed up the process and bring a resolution to the dispute efficiently, quickly and cheaply. The cost of a FSCO mediation for the accident victim is free compared to the cost of filing a Statement of Claim in the Ontario Superior Court of Justice $181. Mediaitons were supposed to be heard within 60 days from the date of filing for mediation. It worked way back when there weren’t as many cars on the road, and car accidents cases. But nowadays, the time for hearing a mediation has gone from a 60 days wait time, to between 8 months to 1 year! Why the delay? Lack of resources at FSCO, lack of mediators, lack of clerks, increased volume of applications for mediation, increased complexity of files. You name it. FSCO has got its fair share of problems. It’s got to the point now where lawyers just apply for mediation for the sake of applying, sue, and then worry about the mediation later because so much time will have elapsed. The success rate of these mediations isn’t what it used to be given the volume of cases the FSCO mediators have to deal with. It’s a never ending rush of car accident claims which enter the doors of FSCO each and every day. What should happend? Either abolish FSCO mediations and FSCO all together; or put more money into the system so that it runs properly. You can’t run this system half speed as its being run now. It’s a farce. Either do it right, or don’t do it at all. At the end of the day, it’s a political issue and not a legal issue. The provincial government runs FSCO. This is the guy who’s in charge of FSCO. Knowing our government, they won’t want to put any more money into the system at all. So please do me a favour; save everyone the time, money and frustration; and either abolish the FSCO auto accident dispute resolution arm, or invest more into the system. Asking Ontarians to wait a year for a 5 minute telephone mediation over accident benefits is silly. Oh yeah, did I mention that the majority of mediations are conducted over the phone and often last only a few minutes? I guess that’s the kicker. Waiting a year for your 5 minute phone call. Talk about anti-climactic. In other news, the Toronto Raptors are back to their losing ways. I’m so pleased to see them lose. The more they lose, the greater chance they’ll have at getting the first overall draft pick and really build a winner. That would make this Toronto Personal Injury Lawyer proud.